Hey everyone, so if you've noticed I've been wearing a white band in my last two outfit posts and I wanted to share what it was. Here is a picture of the new "fast band" I recently got. 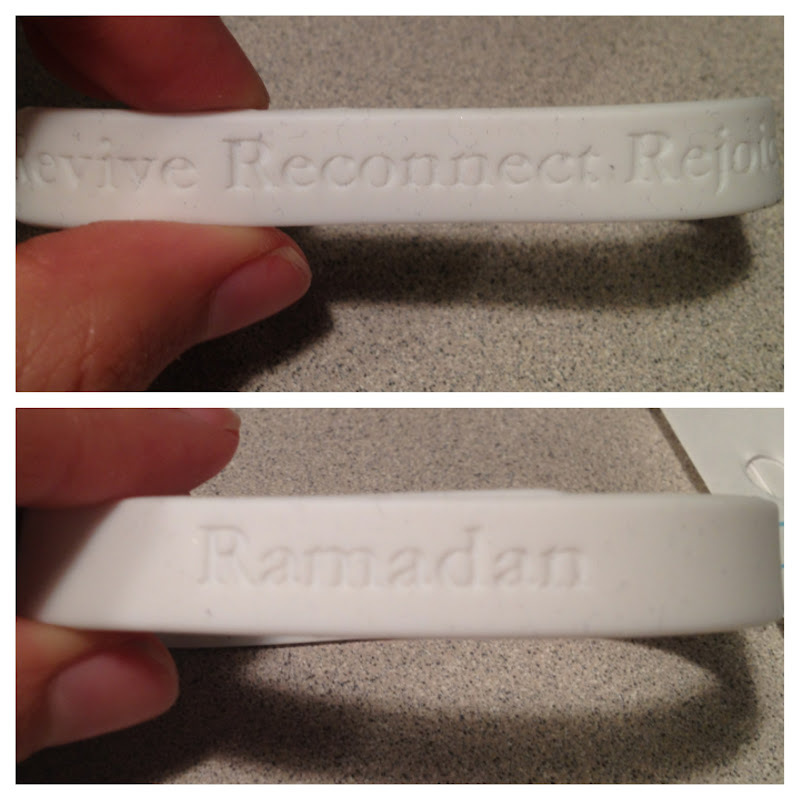 They say "Revive, Reconnect, Rejoice, Ramadan." I don't normally wear the different rubber bracelets that become so popular but this is a great message and we should support those behind it and spread the word!